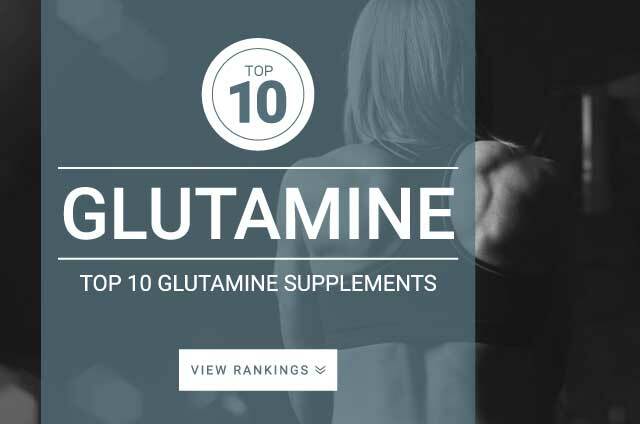 Onlinestrength analyzed 39 best-selling Glutamine supplements in the United States. Following a strict review methodology, our analysis quantified levels of total l-glutamine and recorded the presence/absence of inactive ingredients. Products that contained artificial coloring agents and/or artificial flavoring were penalized. Glutamine supplements that contained unnecessary controversial additives but contained effective doses of l-glutamine were ranked lower than products that had a clear and unadulterated ingredient list. The highest ranking products were cross-checked with FDA database guidelines to ensure proper ingredient formulations. Glutamine is the most abundant amino acid in the body and is derived from glutamic acid. Glutamine plays a role in the function and health of the immune system, digestive system, and several bodily functions. During times of stress or increased metabolic demand, such as during exercise the body’s glutamine reserves start to deplete and supplementation of glutamine is used to restore depleted reserves. Glutamine is especially important source of energy for the G.I tract. As it provides support for muscle health and immune system function. Glutamine is marketed towards fitness athletes and gym goers because glutamine supplementation can be used as a treatment and preventative of post-training muscle soreness, fatigue, overtraining, and immune system health. Its effects may support post exercise recovery which may lead to faster muscle gains. High-protein foods such as meat, fish, beans, and dairy products are excellent sources of glutamine. Typically vegans and vegetarians are deficient because these foods are often excluded from diet. Glutamine may improve post-workout recovery which can lead to faster muscle building and gains. Standard supplementation dosage of L-glutamine tends to be 3 to 30 g daily taken in divided doses. Due to the limited efficacy of glutamine supplementation as a muscle builder, the optimal dose is unknown. The above doses are sufficient for immune system and digestive health.